Showing results for tags 'mustang'. Help with early Mustang. Drain holes? Hi everybody, The title says it all, really, are ther any photos to be found (preferably on the internet) of "Flying Dutchman", the P-51D-5-NA from the 31st FG in Italy? Thanks & Cheers, Erik! I had no idea this was being released so soon, but some of my Dad's photos from his time with the Squadron are in it. From what I understand, apart from many photos never seen before, there are also almost two dozen colour profiles based on the photos. I know it's a narrow subject area, but I'm pumped!! After finishing one of my other 1/72 projects, today I started on my next big project. A Tamiya 1/32 P-51D Mustang which will be done up as a RAAF 77 Squadron plane, based out of Japan during the early years of the Korean Police Action. I have been collecting a bit of aftermarket for this for a while, though whilst doing so, I'll be using much of the what you see here. I'll be using my Silhouette cutter again for many of the markings. So after spending in the morning pouring over my copy of Mustangs, ADF serials, Large Scale Planes and some other books, I got started. It always feels great making the first cut on a new kit. The first two assembled pieces. A few hours later I had the sub-assemblies of the Supercharged Merlin together and ready for paint. I'm loving the details on this engine. A few coats of Tamiya Semi Gloss Black later. A little detail work and dry brushing, and its well on its way. Still a lot to go though. I want to try my hand at the fuel lines and ignition leads, though the thought of it does make me nervous. Next stage is underway, but thats enough for now. Mustangs battery relocation to engine bay. On the later model P-51's the battery was sometimes relocated to in front of the oil tank under the engine cowl to make room for more radio gear behind the pilot. I found mention somewhere online that the mounting bracket to do this was included in the Tamiya kit, but due to Photobucket being dicks, there were no photos of what the part was or how it was achieved. Can anyone here assist me with either photos, information or both please. I don't mind scratch building something if its not the case, but I have no idea what the mounting bracket would look like either. Cheers. 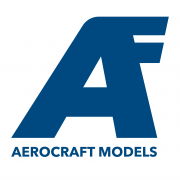 Hello fellow master modelers - I am going to hopefully take you through a pretty challenging scratch build of some 1/18 wheels and tires for a P-51 Mustang using primarily a Unimat mini-lathe. At the time of this posting, I am not done, and there is some risk that it will be a failure. But here goes..... A few years ago I dove into a 21st Century Toys 1/18 scale P-51 Mustang, made extensive modifications and improvements, and called her Miss Velma. Here is a picture of her after the two-year project was completed (some of you know of this giant project): I have a 4-part article on Miss Velma on LSP, if interested. The main landing gear were a big part of the project. I scratch built the struts, brakes, and gear doors but used the existing toy's tires and wheels, although heavily modified. Here are some closeups: It may be evident to you from the pictures that the original tires were split (sawed) in two right along the centerline, and a good bit of plastic sheet material added in the middle, and then the diamond pattern re-cut. At the time that was all I could think of to get the tire width correct. I lived with the inaccurate tread pattern, and also the inaccurate diameter of the rims (they are a little too large but the tire OD is actually about right). The outer wheel half was mercilessly whittled on in and attempt to make the "spokes" look somewhat accurate, with marginal results. The inner wheel half was modified too, to accept the scratch built brake housings. Here is what the wheels and tires are supposed to look like: Meanwhile, I purchased a Unimat mini-lathe in support of my P-38 "Lucky Lady" build (look for an article soon), and learned how to make pretty good tires and wheels as machined parts. Here is an example (main gear P-38, 1/18 scale): So now I mean to give Miss Velma some new shoes, which better represent the real thing. Off come the old: Geez - it's a bit damaged but nothing I cannot fix. And I will get on with the new. Stay tuned! Hi, I'm building Tamiya's classic in Pacific outfit. I've added polish Yahu instrument panel, HGW seatbelts, some Eduard Photoetch, my own wires and i will use Kagero decals. 1/32 Tamiya Big Beautiful Doll, ready to fly. Long overdue posting here, apologies, but finally took a few final pictures. Also put BBD up on the stand as well. This is my first large-scale build having built almost exclusively in 1/48 and starting with the Tamiya P-51D was quite a treat. This is not quite an OOB build, using some Photoetch from Eduard in the engine compartment (and conveniently covered up, UGH!) and the cockpit (ditto - using the pilot figure was probably not my brightest idea ever). The HGW Seatbelts were not easy to get together - for me anyway - but really look good in this scale compared to the nightmare they were in 1/48!. The decals are a combination of Zotz checkers for the nose, Big Beautiful Doll and the wingtips checkers are from Eagle Cal and the rest from the kit itself. The paints are mostly acrylics - Tamiya TS-12 on the fuselage for example and Model Master, and the exhaust area is Model Master Metalizer. I have a lot of bottles of it from a long time ago, but it seems to keep well and I recently figured out a new venting system for my paint booth so I can actually paint with the aromatic metalizers and enamels now without smelling up the house. If you followed along the build thread you know about the issues with the nose checkers and other fun I had with this terrific kit. http://forum.largescaleplanes.com/index.php?showtopic=56418&hl= Apologies - I am totally off on the white balance - I'll have to reshoot. The nose is two decals - the Zotz decals fit the Tamiya nose nearly perfectly. The nose cone/prop assembly is not overly tight so does pull away some from the fuselage. The Zotz decals require a white band to be painted around the first row of checkers, careful matching the white. I don't usually have the plane mounted on the stand, and I'm not entirely thrilled with the fit of the panel that replaces the landing gear, but BBD does look good in flight. As much detail as went into the engine bay, unless you take off all the panels much of it is hidden. I didn't super detail the topside of the engine and now regretting it. Also seeing that I'll need to be doing some weathering around the exhaust stacks. But one of my favorite items in the kit really are the figures. I love the pilot, and hope to do a mini-diorama sometime. Thought of doing something different so purchased one of Tamiya's great P-51D 1/48 scale kits. I found Warbird's set of Thunderbird Decals for the Tamiya 1/48 P-51D which are a beautiful Red White and Blue. Should build up to a nice looking plane. Painted the cockpit white in keeping with a show aircraft and the entire aircraft is MM Metalizer Buffing Aluminum Plate. I really like the Metalizer paints, but you definitely have to watch the fumes so excellent ventilation is mandatory. They shine up nice, and lose a bit of luster once sealed. Still, looks shiny! There is an ongoing story behind the decals, see below. Other side a bit different Top view Now a bit of the saga with the decals. In the picture above the USAF letters have cracked a bit after a coat of MicroSet. The insignia on the left also looks like it is cracking, but I really hope not. Interestingly enough - used MicroSet on the insignia on the fuselage sides and it seems fine. Also on the US Flag and the Thunderbirds insignia on the right side. Really curious. In the picture below, the nose and tail decals are red white and blue and for both the nose and the tail decal the red is incredibly brittle. I was extra careful with the tail decal, but even minor movement shatters the red part of the decal, which is a large part of the decal. Ugh. I contacted Warbirds and they promptly responded and are sending out a replacement set. Hope they work better! The decal on the left is the Warbirds Thunderbird Tail decal. The right is what is left of the nose decal. Where the decal was red it shattered very easily from just a little bit of movement. Down below, the sharks mouth is from a 1/32 P-40 set which I used to test fit on a P-51 before I used a different mouth from the same set. Even with all of the moving and pushing around, and ultimately, it did not even tear. So I don't think I'm doing something wrong here. Hoping the new set from Warbirds works much better. Otherwise I'm masking and painting the red white and blue! Tamiya P-51D, Maybe Big Beautiful Doll? Aside from a couple of antennas, are there any substantial differences between the standard D and Pacific D kits?